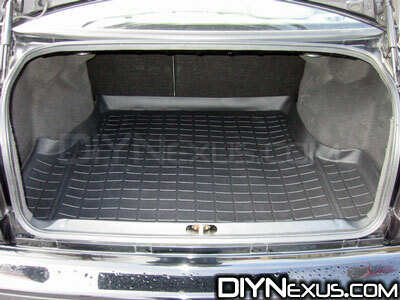 Today I’m reviewing a Weathertech cargo liner, purchased for my MK3 Jetta. I really don’t use the trunk of my car that much. Sure, I’ll throw a few bags of groceries back there once a week, and it’s the best place to keep the jumper cables, but other than that, it doesn’t get much use. Within days of being vacuumed, bits of stuff mysteriously appear all over the carpet, and somehow dig themselves deep into the fibers. The advertisments for the Weathertech cargo liner appear to make it a perfect solution to help keep the carpet protected, and make the trunk easier to clean. I placed my order on Tue, Jan 2nd. The liner shipped on Tue, Jan 9th, and arrived via FedEx Home on Fri, Jan 12th at 9:30 in the morning. It arrived rolled up in a tall box that weighed 8 lbs. 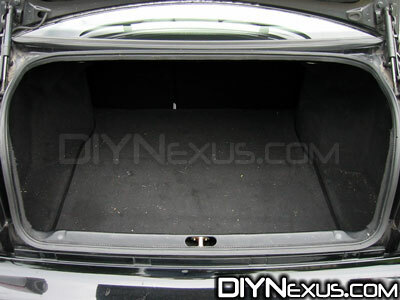 As you can see in this “before” picture, the trunk was teeming with tiny bits and fuzzys. After a quick vacuuming of the carpet, and the liner in place, we have the “after” picture. Quite an improvement. Check out the raised lip of the liner, it’s easy to see how it protects against spills. It’s very simple to wipe the surface clean with a damp cloth. Note: If you ever spill anything in the liner, don’t try to pick up the liner to dump it out! 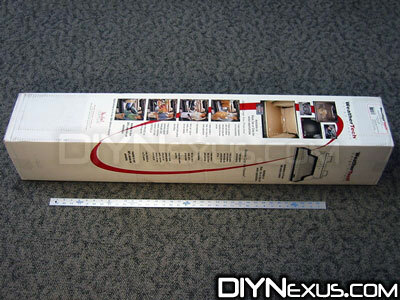 The liner is extremely flexible, so you’re more likely to pour the spillage into the trunk than out of it. Clean up the mess first, then take the liner out and hose it off if it needs it. Fits like it’s an OEM part from the VW factory. Easy to remove to gain access to the spare tire. The outside lip helps contain accidental spills. Stays flexible, even in cold temperatures. There only thing that I would consider a slight negative is the price. If the shipped price came in under $100.00, it probably wouldn’t have bothered me as much; the irrational feeling that $99.99 is somehow MUCH LESS than $100.00 weighs in heavily here. It’s unusual to find a product that lives up to its marketing hype, but this one does with flying colors. The Weathertech cargo liner receives a 7/10 for value, and a 9/10 for its overall rating.